It has been a hot minute since I last posted an Anti haul! These are some of my favorite posts to do, and since beauty brands continue to release things I don't want/understand, I figured it was time to do another one. If you're not sure what an Anti haul it, it is a list of what products you don't want to buy. Basically the opposite of a wish list. And as always, if I list something that you want to buy or that you love, we probably just have different tastes, which is great! Each makeup lover wants different things from their collection. So with that disclaimer, let's drag some makeup. 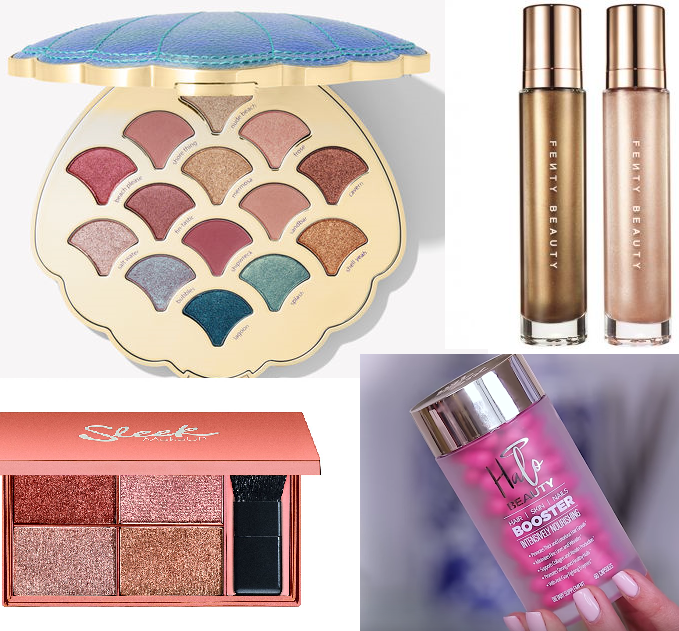 I've been a big fan of Tati (GlamLifeGuru) on YouTube for years, and was really excited for her to launch a beauty line, but sadly I will not be buying her first product. The reviews don't seem bad so far but I refuse to spend $40 a month on vitamins. Vitamins. I'm pretty happy with my skin and nails at the moment, so I see no need for these. I hope Tati brings out some actually makeup or skincare next, because I'm still interested in her line! 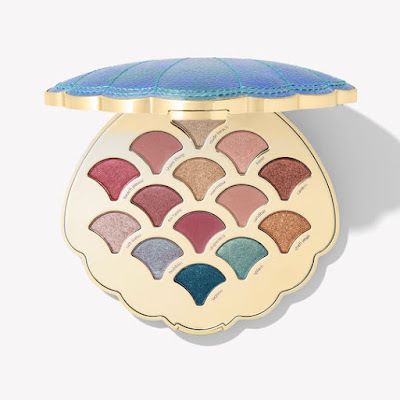 When I first saw this palette on Instagram I was drawn to it; although I am getting very sick of the unicorn and mermaid trend within the beauty community, I must admit that I love ocean-inspired makeup. The scales and packaging really appealed to me. However, I don't wear very warm-toned colors or blues, so this palette isn't for me. Also, has anyone else noticed that these colors are all that it being released lately? A mostly warm palette with a few pops of blues--already have it somewhere in my collection. This is another product that I originally thought about buying, but the color really isn't very unique. It is also massive, I will never get enough use out of something this big. 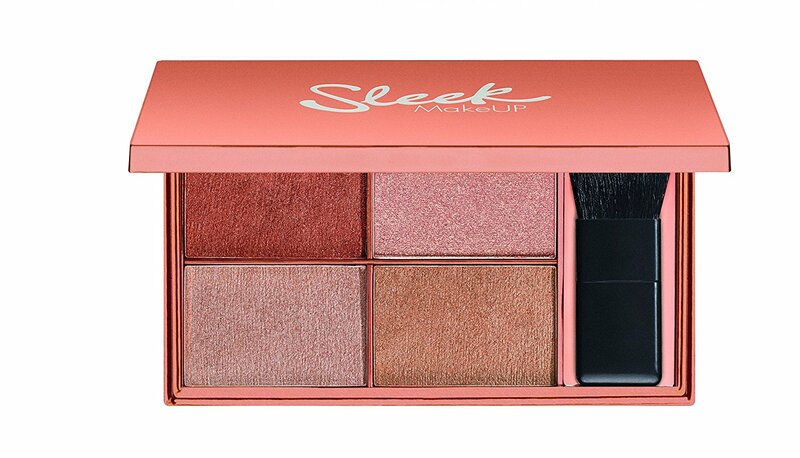 I love the packaging and the color is pretty, but I will stick with the highlighters already in my collection. PS. If you already have the Mary Lou Manizer, you may not need this either! For $60 I could buy a new Becca highlighter, smash it up and bath myself in it, and still have money left over to buy something else. 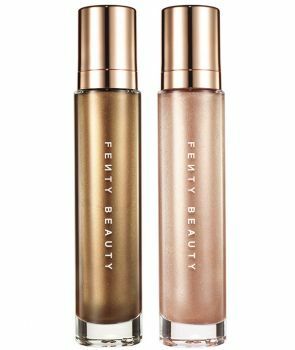 I love Rihanna and the products I've tried from Fenty so far, but I refuse to pay that much money for something I would only use on special occasions. Which reminds me, why do so many makeup brands release products specifically for music festivals? Do that many people attend Coachella? Do that many people want to buy makeup that they will likely only wear once? This is another product that every brand seems to be coming out with lately--shimmering setting sprays. Who wants this? Who wants glitter or shimmer everywhere? I love a nice highlight, but shimmer all over the face is not for me. I could see people using this on their body, however, if that appeals to you! These Sleek palettes were really popular about a year ago and now they have released a new set of shades. I had the Cleopatra's Kiss highlighting palette for a while (review here) and I eventually decluttered it. I found the powders really scratchy and the creams really oily. It just took up room in my collection, and if they didn't change the formula I think the Copper Plate one would do the exact same thing. I would love to hear if you're interested in any of these products and why! Do you agree with me on anything? 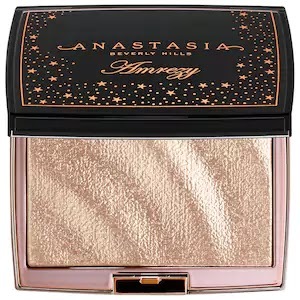 19 comments on "Antihaul #5: What I'm Not Gonna Buy! " I am a huge fan of Tati too and I was so excited to see her first product but vitamins? It was so weird when this was first out, everyone was expecting makeup products and so did I. Too expensive for me too! I actually really like the look of that Tarte palette but I have quite a few similar eyeshadow palettes so it really wouldn't be practical for me. I do agree that the whole mermaid thing is getting a little old. I agree with Fenty. I mean, everything there is too expensive for me, but I see a LOT of products specified for Coachella and that's just ridiculous to me... Also, Halo Beauty is something I was actually planning on trying, but reading and hearing reviews only made me not buy it. It all depends on your body and there's no guarantee that it'll actually work and for $40 + shipping I need it to work. I was a huge fan of Tati and was following her when her followers were only 200k but I unsubscribed a year plus ago. I think she's different now, almost like she tries too hard and I just don't trust her reviews anymore. All I can think reading this is SAME! Exactly the same! Especially Tati :( I want her to bring out skincare! The only sleek highlighter kit I love is 'Solastice' the others don't appeal to me whastoever. I agree with so many of these, especially the Fenty Beauty Body Lava! I've seen other girls just crushing a teaspoon of bronzing powder into a bottle of bab oil and it having the same effect as Fenty body bronzer!